Summary of panel "Reassessing Arbitration in 2016: Making It Work for Business"
Co-author, "Practical Considerations in Selecting Arbitrators in Construction & Surety Cases," National Association of Surety Bond Producers, Pipeline Newsletter (Jan-Feb 2012). Mr. Evans is co-chair of the litigation department. He represents large public corporations, closely held companies and individuals in the resolution of complex business disputes. This focus places Mr. Evans in a variety of settings for his clients, including federal and state court, arbitration, mediation, and administrative agencies. He has litigated cases in areas such as leveraged buyouts, computer law, unfair trade practices, insurance, finance, entertainment, and patent licensing. Mr. Evans also maintains an active practice as a certified neutral arbitrator and mediator, serving in more than 350 cases. As a neutral, he has presided over a broad range of business disputes involving areas such as intellectual property rights and licenses, finance and accounting, supply agreements, technology development and transfer agreements, stock/asset purchases, energy, biotechnology and medical devices, real estate, and business separations. Mr. Evans is a member of a number of arbitration panels, including the Commercial and Large, Complex Case Panels of the American Arbitration Association, the Panel of Distinguished Neutrals of the International Institute for Conflict Prevention and Resolution (CPR), the ICDR Panel of Arbitrators and Mediators, the ICC International Court of Arbitration (North America), the Court of Arbitration for Sport, the World Intellectual Property Organization (WIPO), and the London Court of International Arbitration. 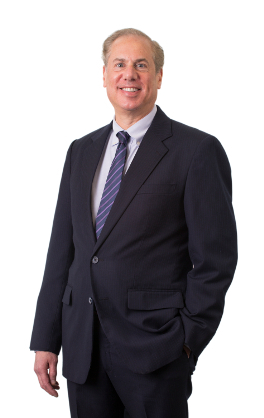 Mr. Evans is a frequent lecturer on ADR, and was selected as a top rated lawyer in ADR law by the American Lawyer. Mr. Evans also serves as a member of the Board of Directors of the American Arbitration Association, and was named its “Outstanding Director” in 2014. Mr. Evans was selected (by his peers) as a New England and Massachusetts Super Lawyer in every year since the award’s creation, and maintains an AV Preeminent peer rating (the highest ethical and competency rating available) from Martindale-Hubbell.